Boats lined up all along Lake Champlain’s majestic horizon at all hours of the day; people bustling about marinas and nearby restaurants -- all the tell-tale signs that bass fishing season has begun on New York’s Adirondack Coast! If you're an angler or co-angler, you know what to expect. If you’re not, all the activity on the water and shores might catch you off guard. You might even be surprised to know that bass fishing is a huge spectator sport – and we’re here to prove it to you. As our #ADKCoastProBass17 lineup continues over the summer months, we’ll be highlighting and interviewing area anglers participating in the tournaments, each with some insight to offer on this hugely lucrative warm-weather Adirondack Coast adventure. Remember Peru, NY dweller and local fishing enthusiast Ben Wright? He's first up. Alina: How'd you get started with bass fishing, and what was your first pro tournament? Ben: I grew up pond fishing for trout with my dad. Throughout high school and college, my schedule didn’t allow me to fish nearly as much, but I always enjoyed it. So, when I came across an information booth about the Plattsburgh Bass Club at the Mayor’s Cup festivities in 2008 or so, it caught my eye. I fished a tournament of theirs as a co-angler and was immediately hooked (pun intended!). I fished my first FLW BFL the following season in 2009. Alina: What do you fish for apart from bass? Ben: I enjoy catching fish of all species, however I fish predominantly bass now. That said, I would love to pond fish for trout again and have also really enjoyed deep sea fishing the few times I’ve been. Alina: How much did your biggest catch weigh? Where’d you catch it? Ben: In bass tournaments I have caught over 20lbs a few times. I think a little over 21lbs was my biggest 5-fish limit in a tournament and that was at an FLW Costa event in 2015 on Lake Erie out of Sandusky, OH. While deep sea fishing I have caught several fish in the 25+ pound class in central Florida. 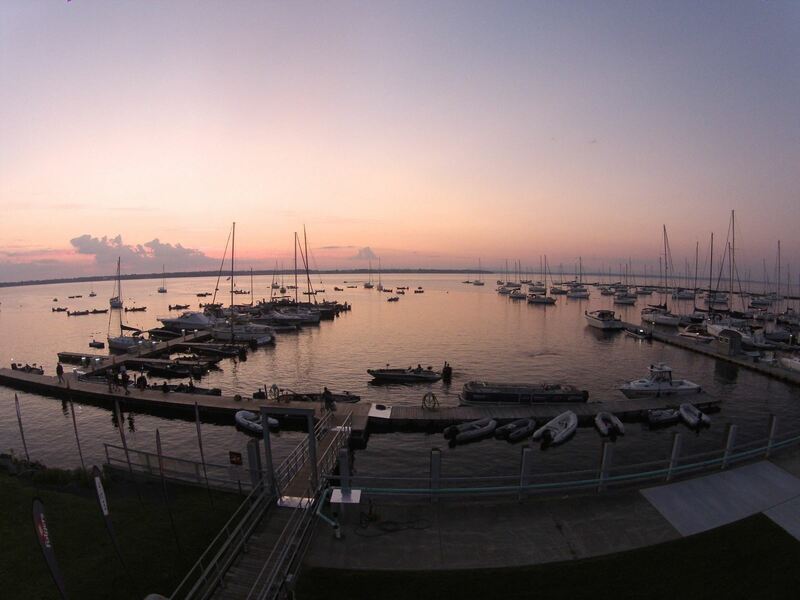 Alina: In your opinion, what makes Lake Champlain such a great place to fish? Any other nearby rivers, lakes or streams you really love? Ben: One word… diversity. I have been fortunate enough to travel all over the country bass fishing and not too many places offer the ability to catch quality largemouth and quality smallmouth in the same day, in the same numbers that Lake Champlain offers. This region as a whole offers some great fishing. Lakes like Chataguay, Chazy, Upper and Lower Saranac and so on, all offer great sport fishing, as do rivers like the Chazy, the Saranac and the Ausable. Alina: What advice do you have for visitors who may want to give bass fishing on the Adirondack Coast a first-time try? Ben: Make time and do it! Whether you have travel in with your own boat, contact a local guide or simply fish from shore. Lake Champlain and the other Adirondack Coast fisheries are worth the trip! The fishing is great year round, but in mid-spring to early summer, 100+ fish are possible and will make any angler smile! Alina: One last question! What tournaments are you participating in this season? Ben: I am fishing the full FLW BFL schedule, the FLW Costa, RAM Truck Series and the NY Federation Nation trails, as well as any other events I am able to work into my schedule. 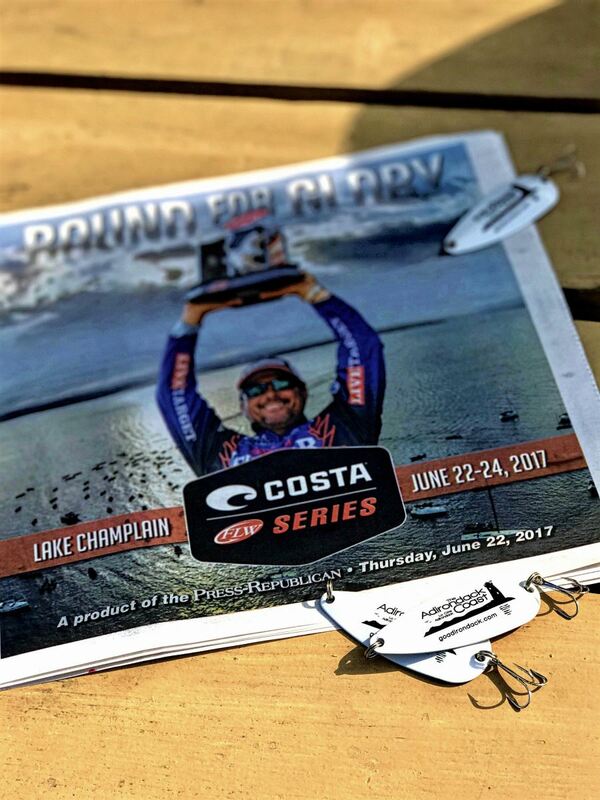 Catch the excitement on Lake Champlain with Ben June 22-24 during the FLW Costa Series at the Plattsburgh City Marina in downtown Plattsburgh. Find our full lineup of bass fishing tournaments at goadirondack.com/bass.